The world is full of mountains that once were or still are volcanoes. They’re fascinating landscapes created by nature that amaze us every time we see them. Especially if they’re active. If you wonder which are the mind-blowing volcanoes on Earth or you want to visit them, then keep reading. We’ll look into them right now. Before we begin, let’s explain the whole meaning and purpose of the volcanoes. They’re, in fact, ruptures in the earth which let lava, gases, and ash escape from below the surface. These magnificent wonders happened due to the breaking of the tectonic plates. That resulted in both dangerous and marvellous beauties that became top tourist destinations for adventure seekers. Usually, the volcanoes are mountains that open to reveal the hot mass inside we all know as lava. That is, in fact, the main proof that the volcanoes are stunning landscapes. As many of them are still active, the cities or places built close to them are often in danger. However, we’re still far away from Pompeii’s destiny as the volcanoes are carefully observed by scientists every day. It’s interesting how nature speckled these mind-blowing volcanoes all around the world. Starting from mountains coated in snow, surrounded by water or entire cities to desolate places that inspire awe once they’re spotted, the volcanoes are everywhere. Although most of them are located in Asia or the American continent, the other continents too have some pretty awesome volcanoes to brag about. Doesn’t that make you even more eager to visit some if not all of them? In that case, I have great news for you. Now we’ll dive into the mind-blowing volcanoes together. And then you can decide about your favourite ones. With no further ado, here are the top volcanoes around the world that will blow your mind. 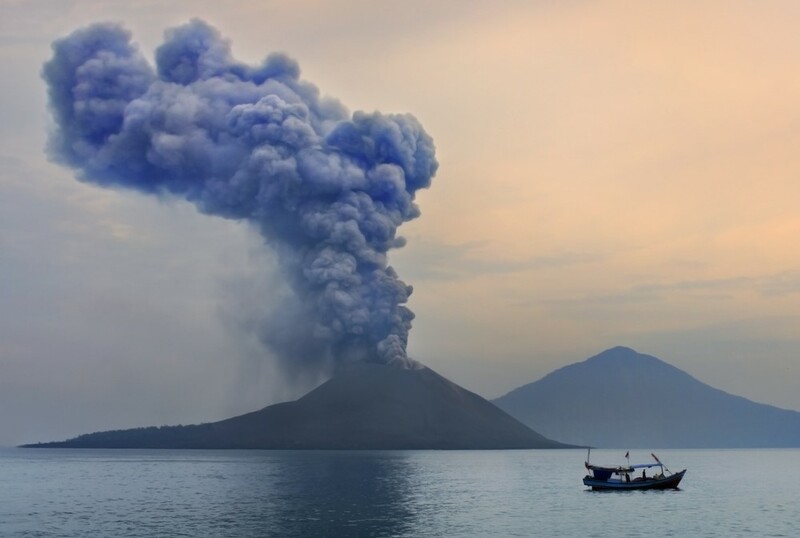 Krakatoa, Indonesia – Krakatoa or Krakatau to some, is a volcanic island which is still active. As recently as 2008, the world could witness an eruption of lava and smoke from it. However, Krakatoa is still remembered today by the event in 1883 when it erupted with a force greater than an atomic bomb. The sound that that explosion made is actually the loudest one heard in modern history. 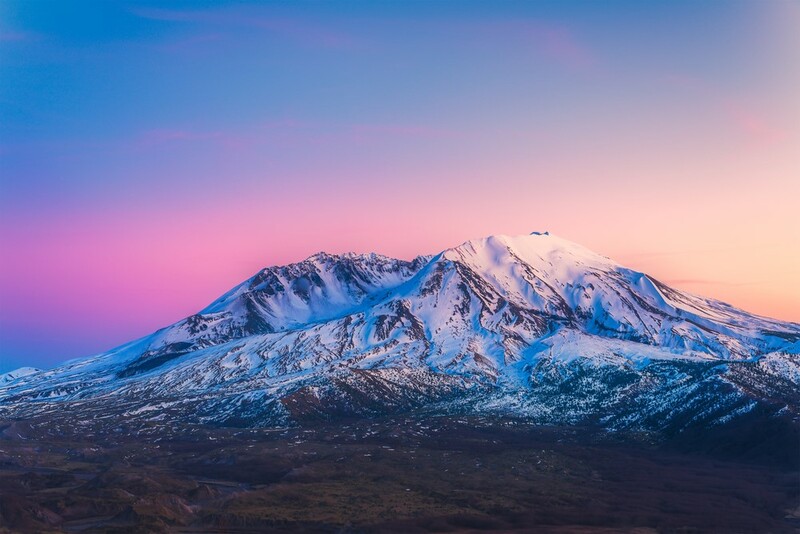 Mount St. Helens, USA – The list of mind-blowing volcanoes wouldn’t be what it is without the mention of Mount St. Helens. The US was rocked in 1980 when its eruption killed several people and did some serious damage to its surroundings. It’s still active, but you shouldn’t worry. The picturesque place in Washington can be observed by helicopter tours and visited preferably from May to November when it’s dry and pretty warm. 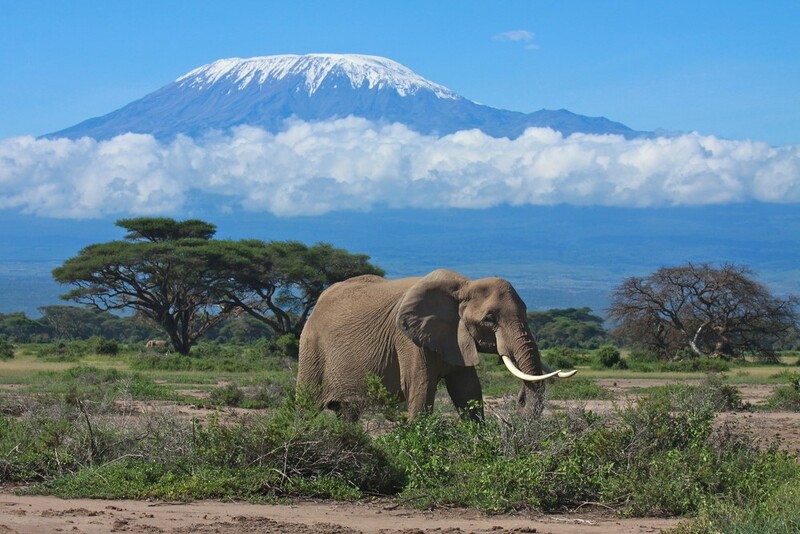 Mount Kilimanjaro, Tanzania – One the most popular climbers’ spots in the world is no other than Mount Kilimanjaro. That’s probably because of the fact that you don’t have to be a pro to climb it. However, very few succeed in reaching the top. The dormant volcano is best visited during the dry season – from late June to October, late December until February or the beginning of March. Mount Kilimanjaro is the tallest mountain in Africa. So if you’re not much into climbing up those crooked narrow paths, there’s the Kilimanjaro National Park to satisfy your adventurous soul. Popocatépetl Volcano, Mexico – The first interesting thing about this volcano is, well, its unusual name. In Nahuatl, it means Smoking Mountain. Cool, right? 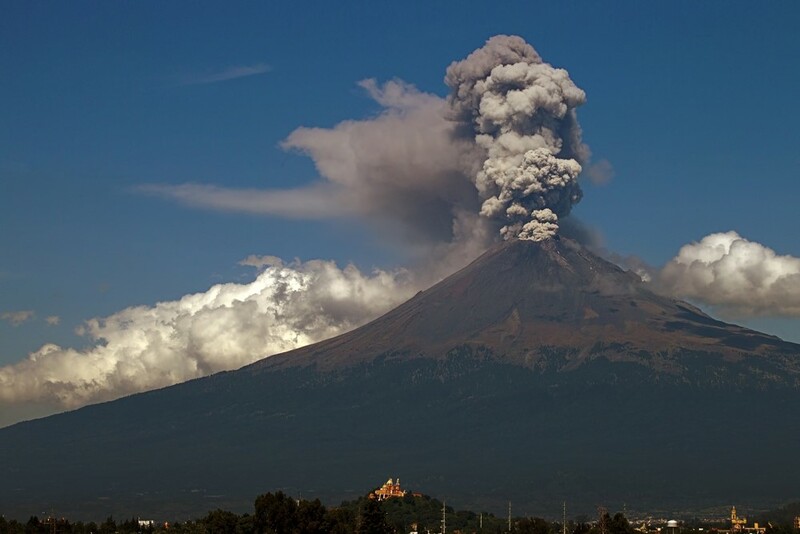 What is more, it’s one of many active, mind-blowing volcanoes in Mexico. You can find it in UNESCO’s preserved places thanks to the 16th-century monasteries built there. Popocatépetl has a great importance for the whole Mexican culture and that’s why there are many one-day tours from Mexico City. The best period for climbing is when it’s announced by the officials or around the end of the year. 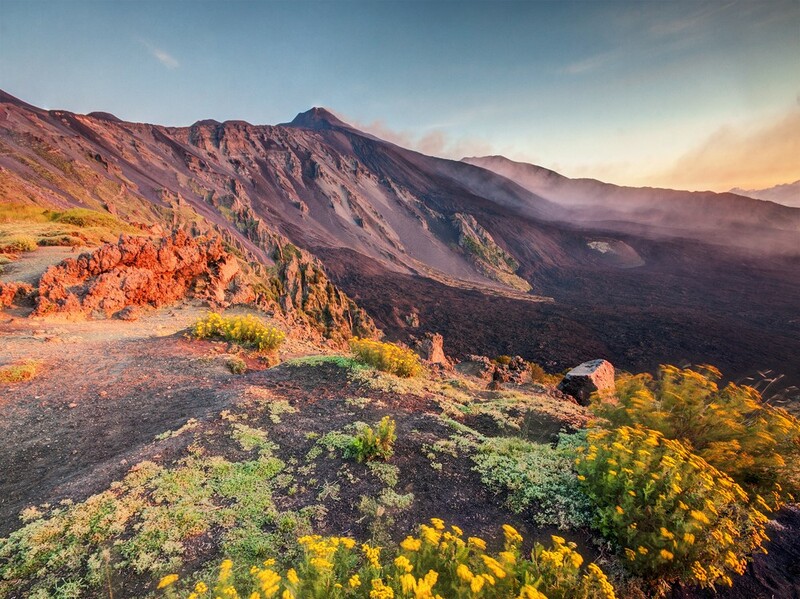 Etna, Italy – Despite the incredible wine and pasta, Italy can surely boast with a couple of mind-blowing volcanoes. Etna, as one of them, is still active and can erupt lava and volcanic ash which makes the place fertile. This fellow is Europe’s most popular volcano, inspiring even the greatest Roman poets to write about it. Besides climbing it, which is preferably done from April until the beginning of winter, you can experience the beauty of some of the 400 craters as well as a waterfall. It’s absolutely a day well spent in Catania. Mt. 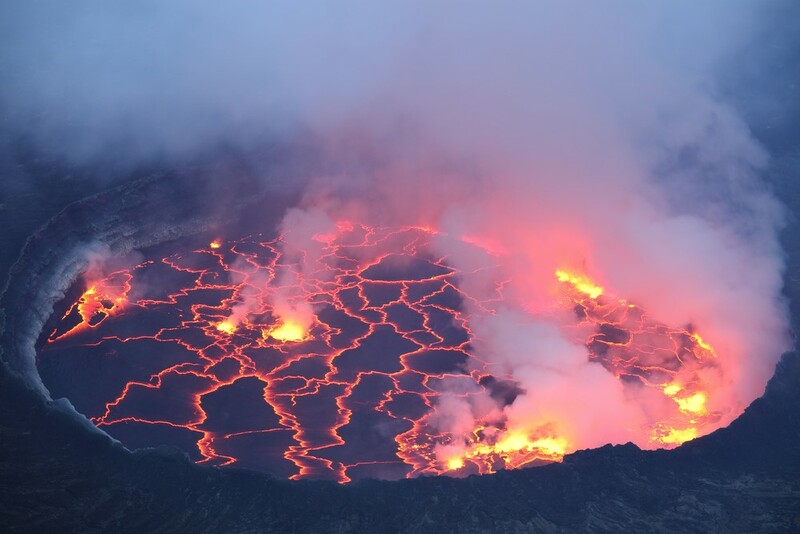 Nyiragongo, Democratic Republic of Congo – Now we move onto another active volcano this time in Africa. It might be familiar to you because of the stunning lava lakes inside the crater. It still represents a serious threat to its surroundings, for its amount of lava is nowhere to be seen in the world other than there. Recently, in 2002 to be more precise, its eruption came to the provincial capital and made chaos there. 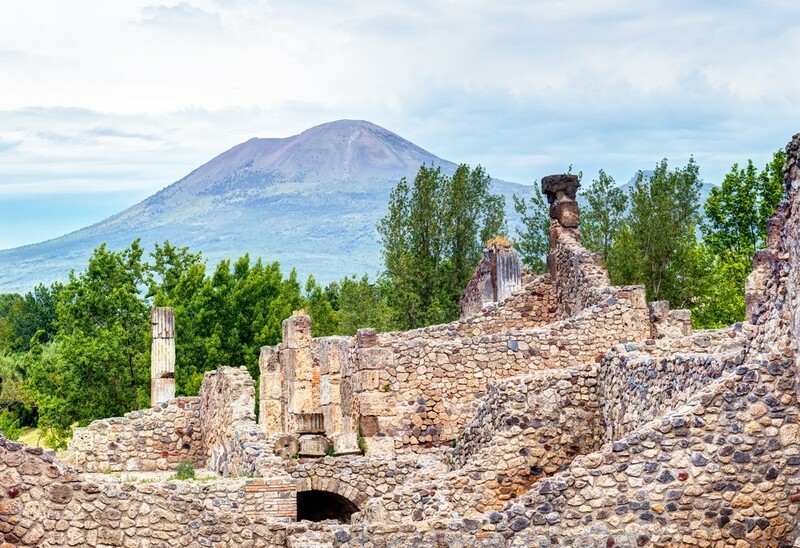 Mount Vesuvius, Italy – You certainly know Vesuvius as the one to blame for the disappearance of Pompeii and Herculaneum. But today, this volcano with a high activity, is the most densely populated volcanic region on Earth. Just around 10 kilometres from Naples, it’s still considered as dangerous. 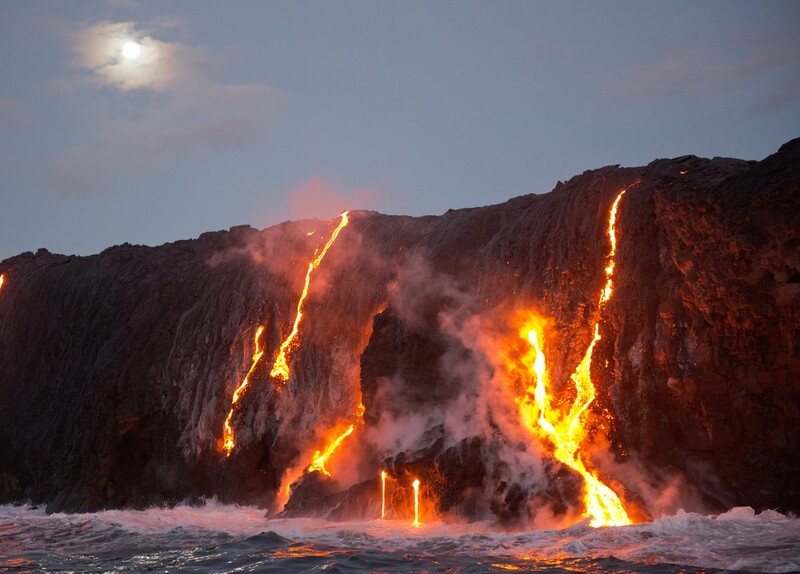 Kilauea Volcano, Hawaii – The extreme volcano that is situated in the south-eastern parts of the United States is constantly in the news for burning down forests and everything around it. It is the most active volcano in that region. What’s interesting is that a great deal of it is underneath the water. Also, together with the other mind-blowing volcanoes, they make a complete island when joined. 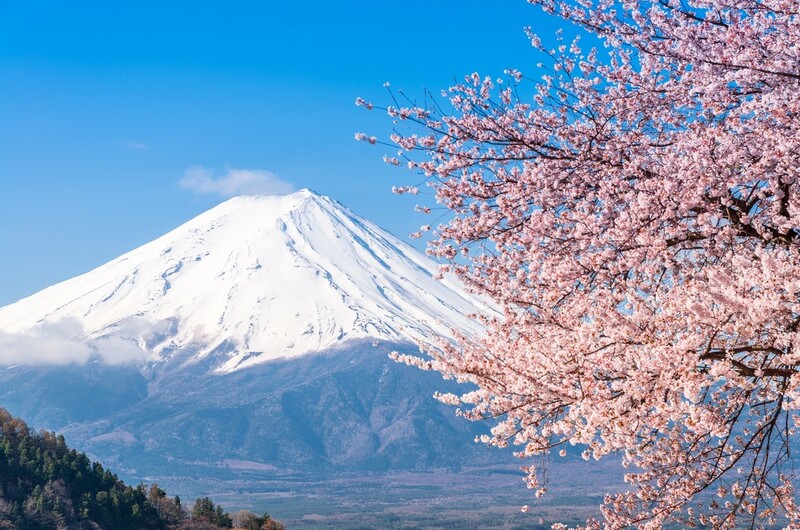 Mount Fuji, Japan – Going off to Asia, we can’t miss the glorious active Fuji. For a big part of the year, its symmetrical cone is blanketed by snow that makes for a delightful scene. It’s absolutely awesome for climbing during the summer months, especially for the fact that along the route you can encounter huts to stay in and cute teahouses. 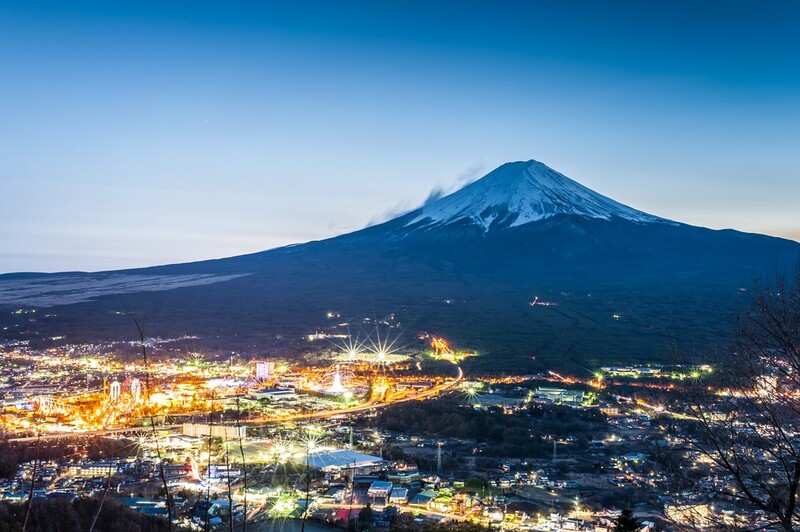 You must see this icon of Japan, also because it offers a unique way of experiencing the volcano. Paragliding. 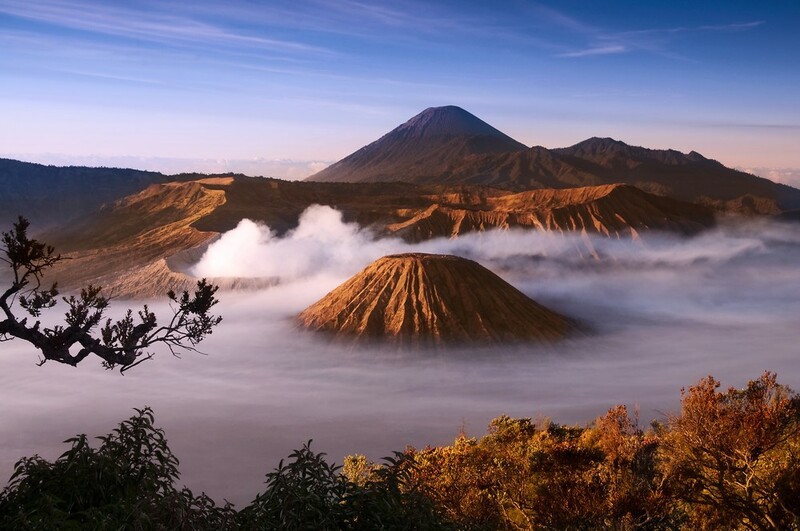 Mount Bromo and Mount Semeru, Indonesia – This spectacular active duo will surely take your breath away. Although, the access may be closed due to their large activity, don’t worry. The whole picturesque environment will make you feel as if you are visiting another planet. The both of them are placed in the Bromo Tengger Semeru National Park where several tours are offered, including horse-riding. Semeru is the tall one whereas Bromo is known for the smoke that comes out of it. You can definitely check them out during the dry season – April to October. 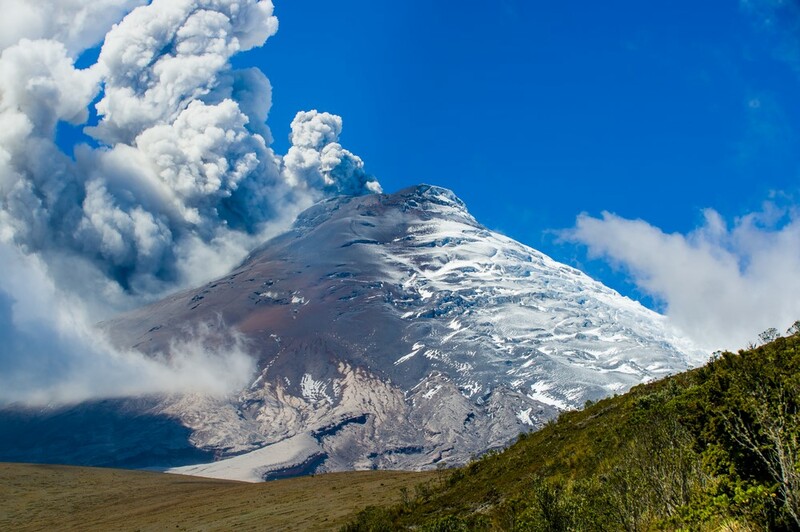 Cotopaxi, Ecuador – Cotopaxi was discovered for the first time in 1744 due to its first eruption. And since then, it hasn’t stopped and continues to be active to this day. Located in the Andes Mountains, it proudly wears the reputation as one of the most extreme and mind-blowing volcanoes in the world with a stellar number of 85 known eruptions. Mount Pinatubo, Philippines – Located in the Cabusilan Mountains, this active volcano is known for the horrific environmental scenes it caused in 1991. The ash that rose from it that day rose to stellar 22 meters in the sky, making it the second biggest eruption of the previous century. Although the scientists predicted it, many lives were still lost. 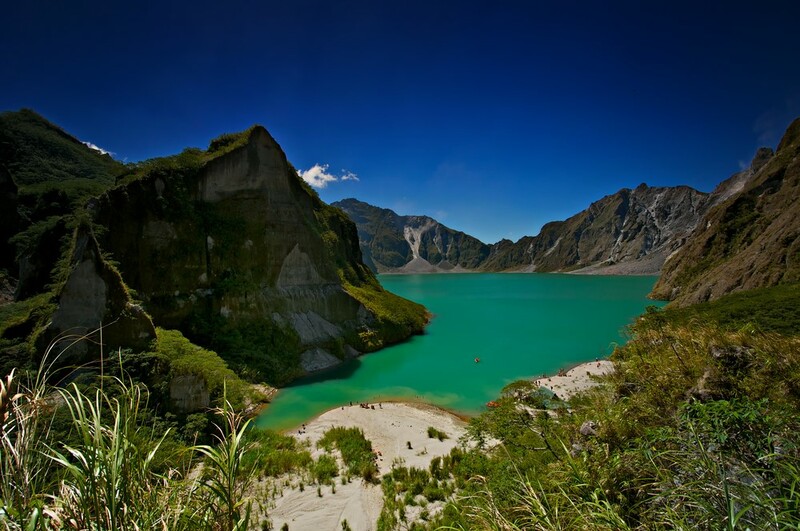 Nowadays, Mount Pinatubo is famous for the lake of the same name which has quickly become a sensational tourist attraction. 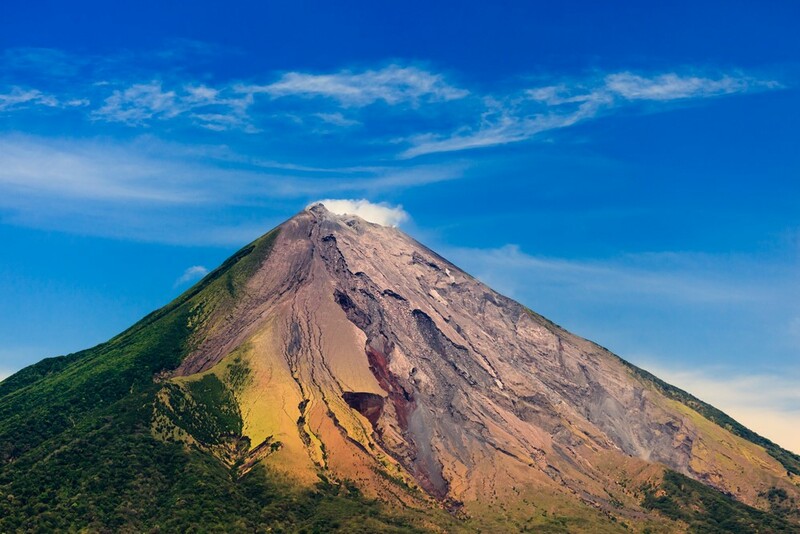 Arenal Volcano, Costa Rica – The impressiveness of Arenal can’t be missed even from afar. Its classic look – tall and perfectly symmetrical – is enough to attract many tourists together with the numerous tours available there. 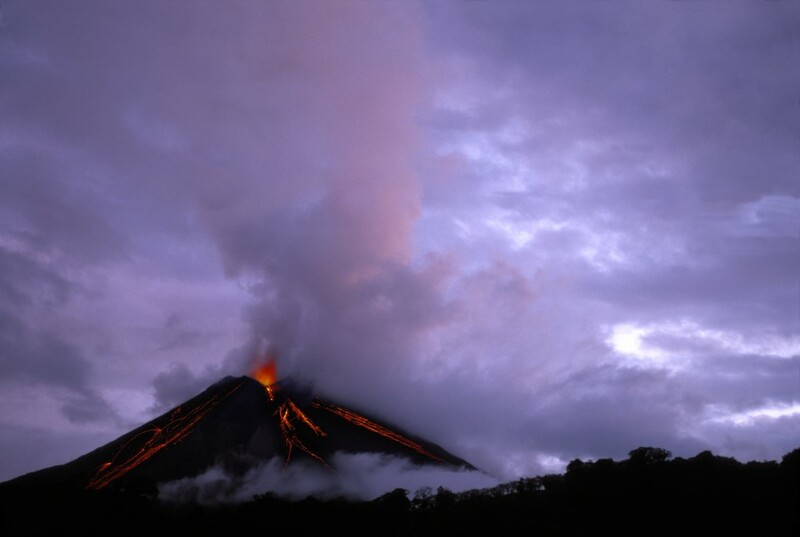 Arenal is still active with occasional spits of ash and lava. Despite that, it’s a great tourist destination for multiple reasons. For one, you can go swimming in the hot springs, go trekking or rafting, as well as bike riding across the mountain and even amazing waterfall rappeling. The period from February until April is perfect for going there. 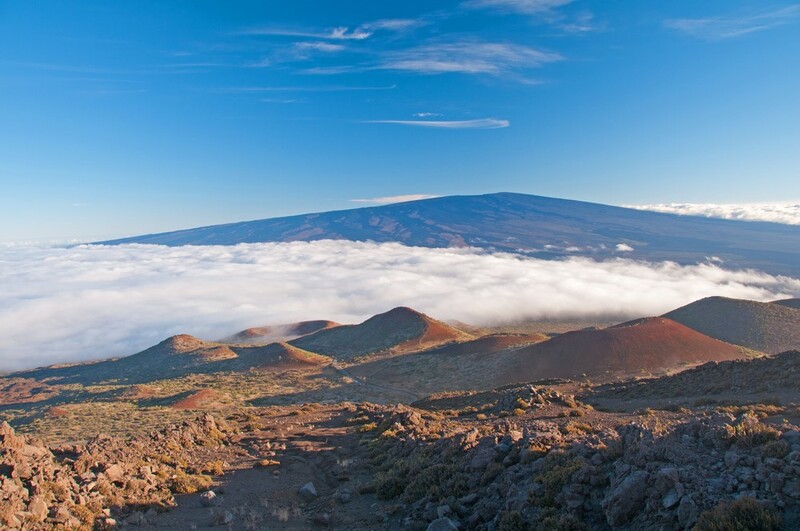 Mauna Loa, Hawaii – The absolute king on the list – Mauna Loa from Hawaii is the largest volcano in the world. This active volcano is more than 30,000 feet tall. The best thing about it is that you can visit it anytime you want, of course, after the officials confirm its safety. What’s more, the whole island is of a volcanic origin, so you’ll have an amazing experience from literally every spot there. Who knew that Hawaii could brag about something else than the wonderful beaches and landscapes? Sakurajima, Japan – “The Vesuvius of the East” as it’s often called, thanks to the great activity, is definitely one of Japan’s most famous landmarks. It’s interesting to know that Sakurajima was once on an island but with the passing of the years, the lava connected it to the mainland. 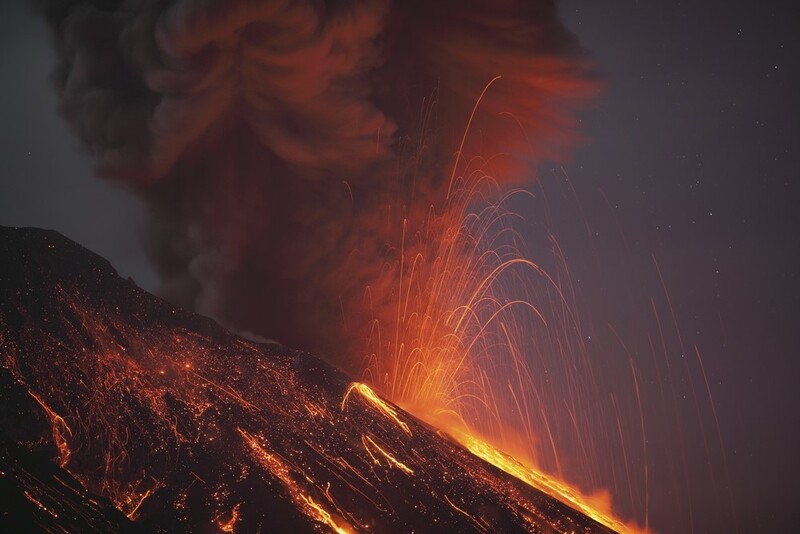 Several small eruptions occur annually, making the people who live nearby constantly wary. They even built special volcano shelters from possible massive eruptions. Ometepe, Nicaragua – Ometepe in the Republic of Nicaragua is, in fact, a volcanic island composed of two volcanoes Maderas and Concepción. Actually, it’s there in the name – ome (meaning two) and tepetl (meaning mountain) or when joined together – two mountains. The island has the form of an hourglass or a peanut and has an area of 276 km². 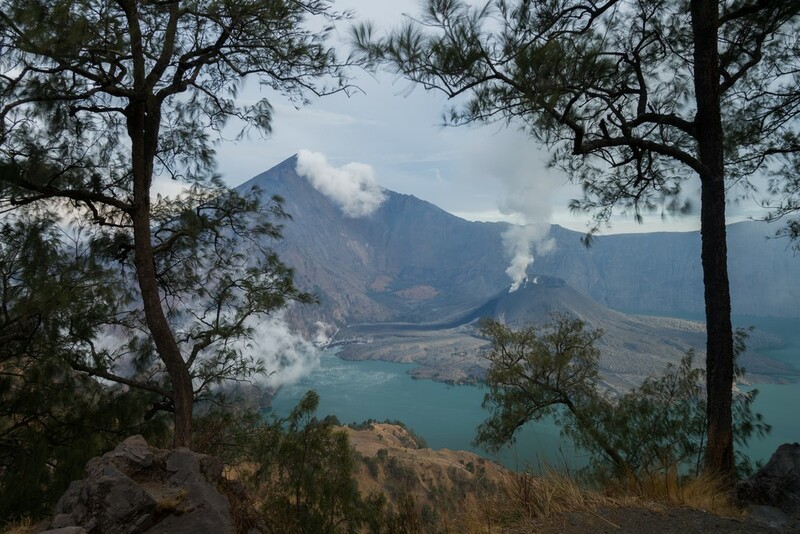 That’s great news because you can explore two mind-blowing volcanoes in one place. Eyjafjallajökull, Iceland – The volcano with the toughest name on the list, represents one of the smaller ice caps in Iceland. Its name could be translated as “Island mountain glacier” and it remains in our memory still, thanks to the massive eruption of 2010. Especially the travellers will remember this year, for the whole air traffic in a great part of Europe was closed due to this volcano’s explosion of ash. 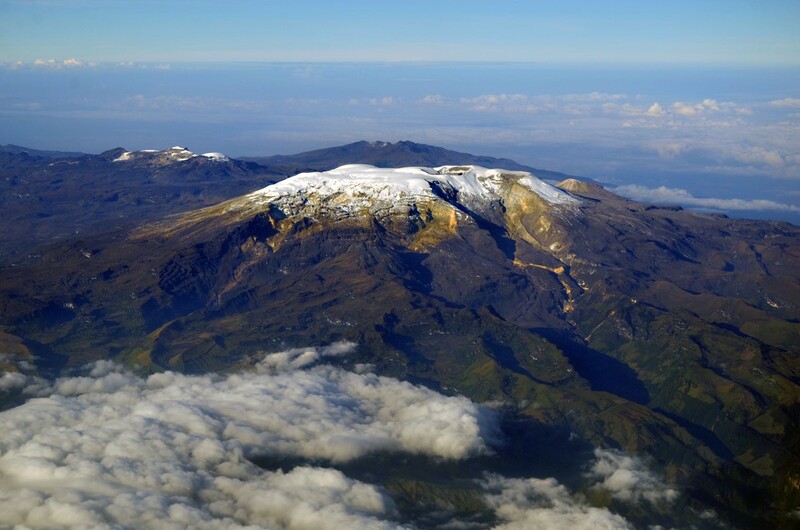 Nevado del Ruiz, Columbia – Mount Ruiz in Columbia is still active although its activity has decreased recently. The top of this volcano is covered with glaciers, making it look as if a mass of whiteness is attached to it. 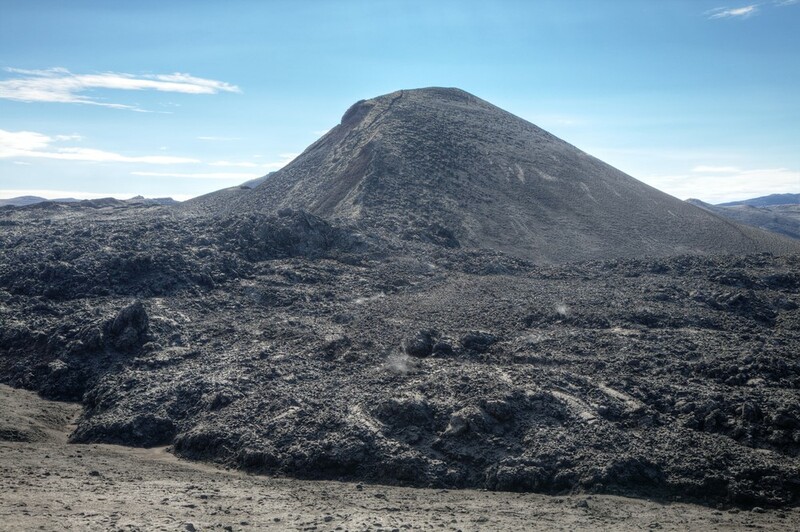 Its biggest eruption happened in 1985 and it’s monitored all the time by experts and scientists, so you don’t have to worry if you decide to travel there. Plus, this part of Columbia is well-known for spectacular flora and fauna with rare animals like the spectacled bear roaming the wilderness. 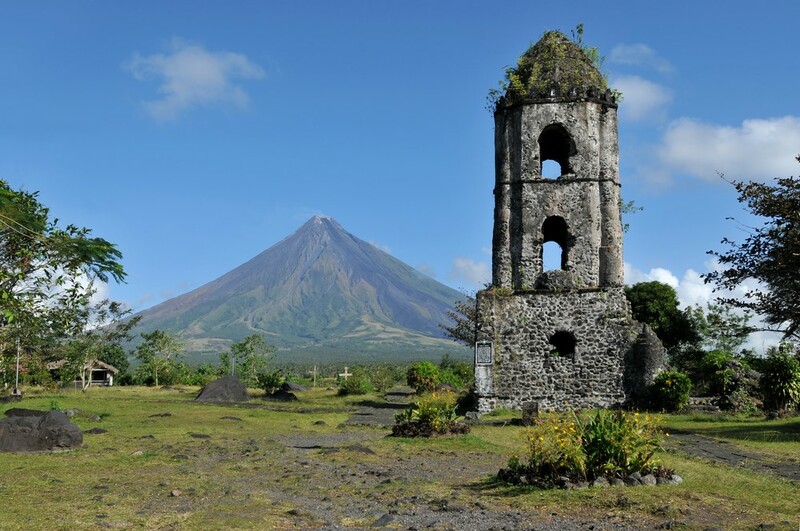 Mayon Volcano, Philippines – Mayon is quite active with frequent eruptions, but it’s nothing short of gorgeous. The weather is mild throughout the year, so it’s perfectly okay to visit it whenever you like. However, its slopes are a bit steep. That is why its tourists are mainly brave adventurers and climbers who are always up for a challenge. If you’re one of them, then Mayon should definitely find a place on your map. Mount Rinjani, Indonesia – Situated on the Lombok Island, Mount Rinjani is an active volcano. On the top of the volcano, there is the Segara Anak (Child of the Sea) Lake that the tribes think it’s sacred together with the volcano itself. In the autumn of 2015, Rinjani started to erupt again, however, it remains safe. The Rinjani National Park has all the details including an awesome gallery of pictures and even a weather forecast.